The goal for this exercise in my independent study was to work with subsurface scattering (SSS) within ZBrush. I decided to created another hagfish, and have it in laying in a coil. Using SSS in ZBrush was something completely new to me. I know how to work with SSS in both 3ds Max and Maya, but not ZBrush. It was not particularly hard to work with, but it’s not exactly the same as the other programs. After getting the coloration that I wanted I did a series of render passes in ZBrush and composited my renders in photoshop. 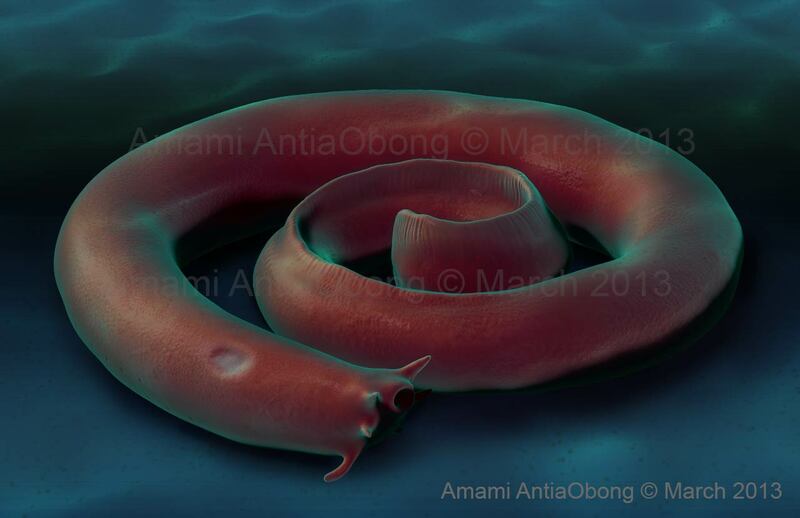 The work with SSS is complete, but I would still like to create a scene for the hagfish to be placed in. I did create a scene in Maya with underwater caustics, but I need to do it over. For now I included the reflection of the water surface on the hagfish, and will at some point fully complete it. I really enjoyed this exercise and learning more about ZBrush. 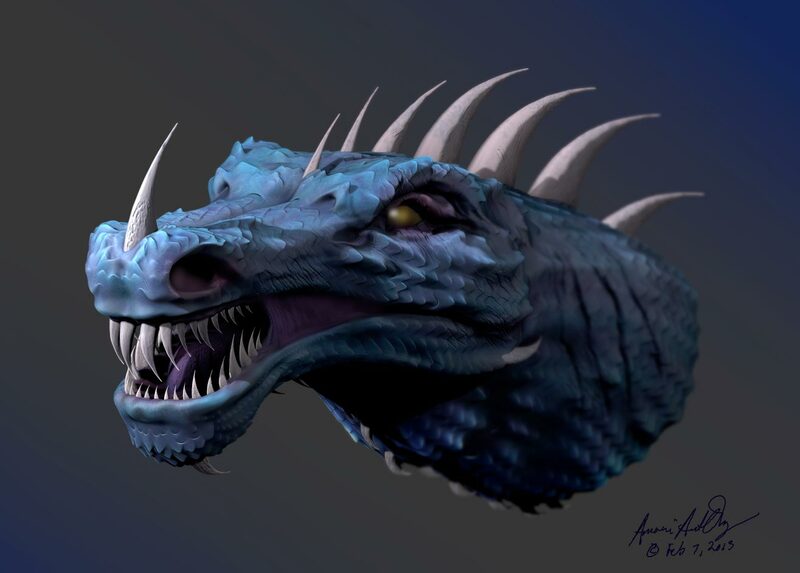 I have finally completed painting, rendering, and compositing my dragon head. The painting and rendering I completed in ZBrush. I learned several different techniques of painting, creating brushes, and adding texture through the Introducing ZBrush 4 book. I composited my different render layers within Photoshop. There are some areas that are a little too dark, and I will fix that at some point in the future. Overall, I am incredible happy with first go at creating a dragon. 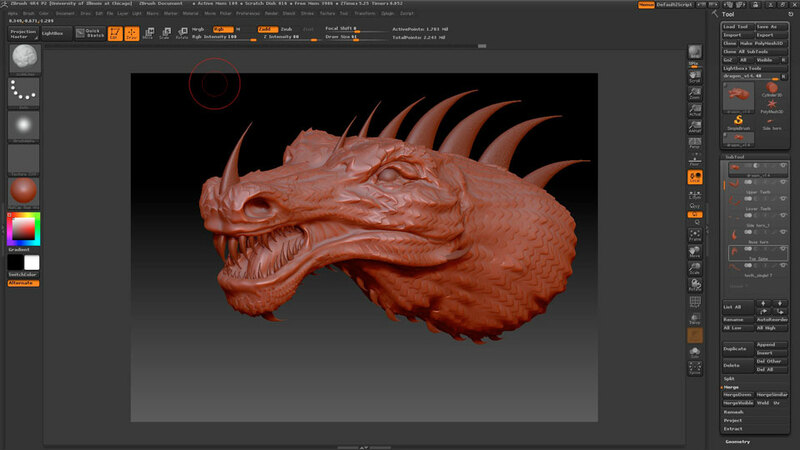 As an exercise in my ZBrush independent study I am modeling a dragon head. It has been very fun modeling this dragon head, and I have learned a lot of different features that ZBrush has in its arsenal. I know do know though that I have barely exposed the tip of the iceberg in learning all that I can about ZBrush. 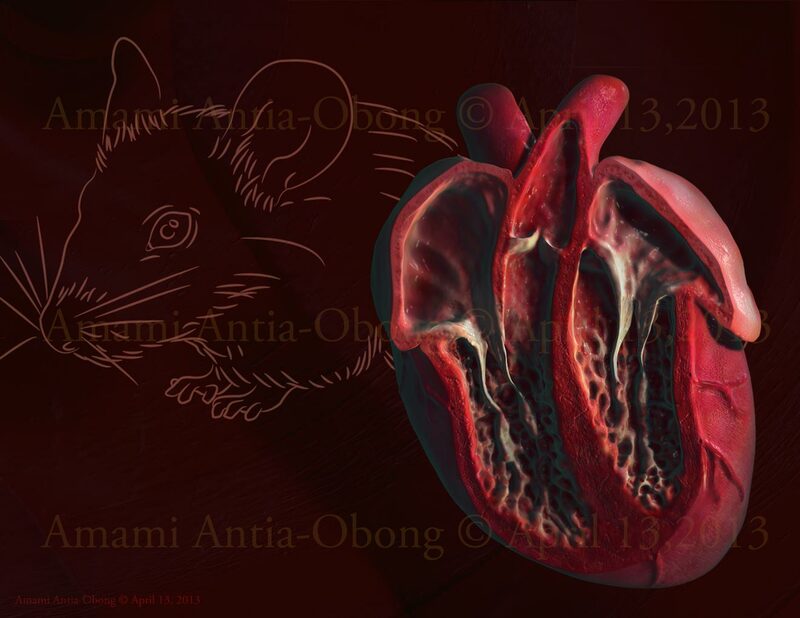 I will be painting and rendering my dragon head in ZBrush at a later date as I move on to modeling a hagfish, and a mouse heart. In my advanced imaging class my last assignment was to create the interior of the stomach with an ulcer using the program Z Brush. I decided to do a cross-section of the stomach, and show an ulcer that has been caused by Helicobactor pylori infection. H. pylori is a bacteria that is one of the causes of stomach ulcers. Working in Z Brush was a very new experience, and was not as intuitive as other programs that I have learned throughout this semester. After figuring out how to work in the program I found it to not be that bad. 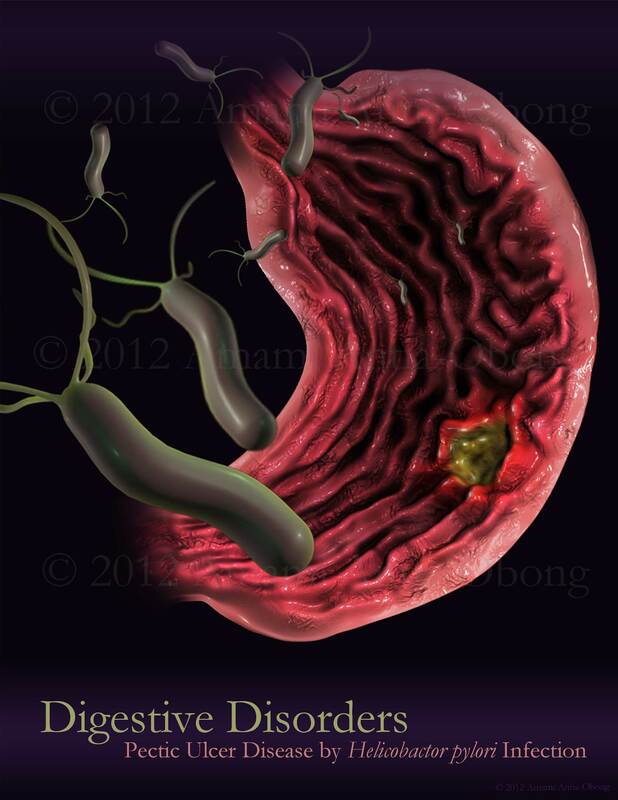 I designed my H. pylori bacteria in 3ds max and placed them in my layout in Photoshop. I like my finished design, and after tomorrow’s critique I may do some updates to my design that my classmates and instructor give me.